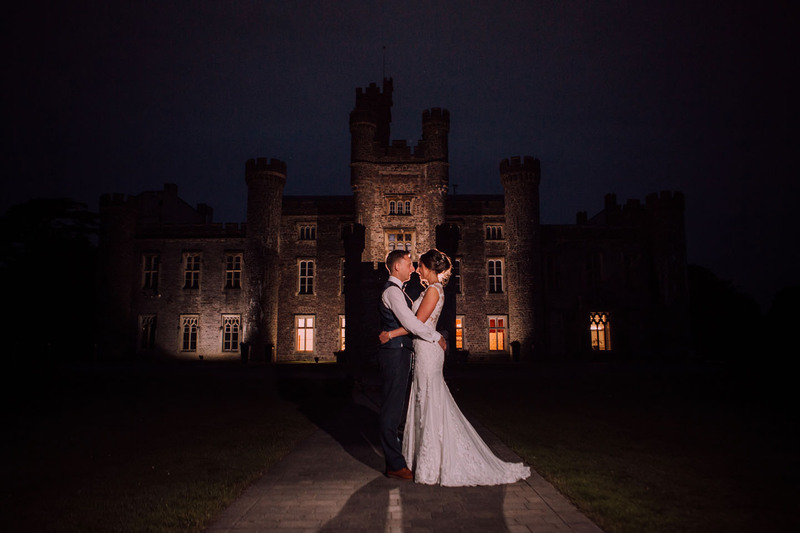 An exotic proposal, an emotional ceremony and a celebration in a unique castle venue – this Real Wedding Story is filled with adventure, love and fun. 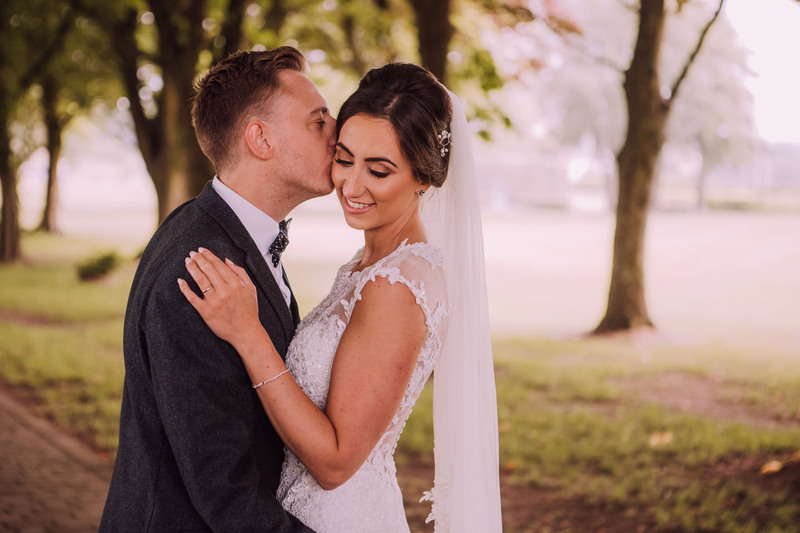 For their big day in South Wales, Lauren and Kyle used a subtle colour scheme to tie everything together, from their wedding invitations to their accessories, flowers and favours. 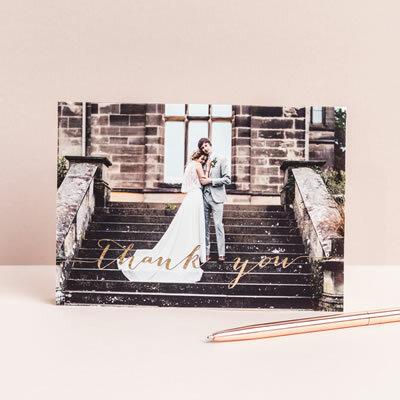 We’re delighted they chose our Beaumont collection to add a sense of regal grandeur to their stationery too, as it’s a fitting choice for their stunning castle setting. 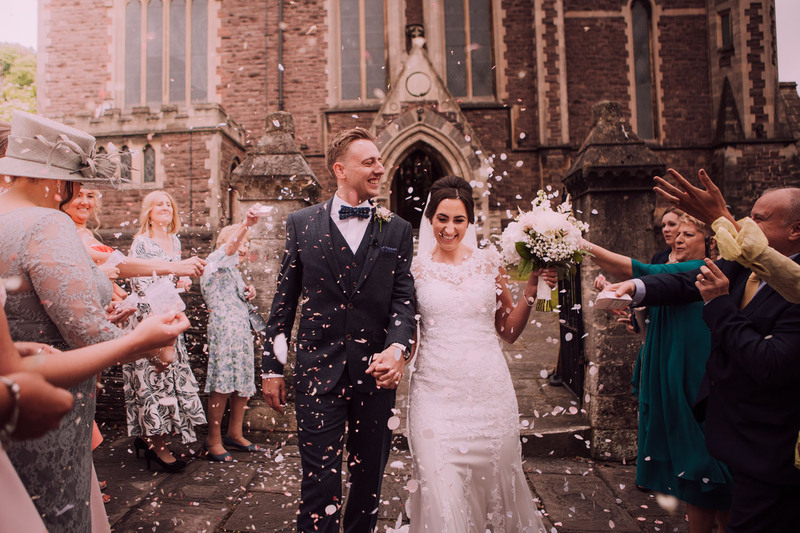 Discover more of their pink and white wedding details below. These childhood sweethearts have a classic love story. 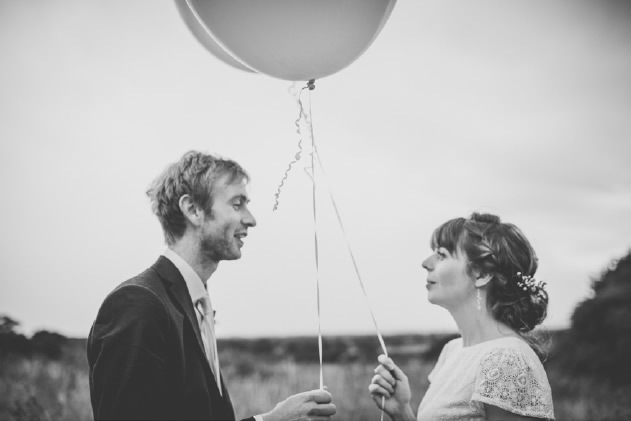 Having met at school, they stayed together while Lauren moved away for university. Then, a year after her graduation, they bought their first home together. But, before they fully settled down, there was one more thing they wanted to do. Lauren always dreamt of visiting far off lands, so she and Kyle began planning a two-month adventure across Singapore, Australia and New Zealand. While they were still away, Lauren began looking for inspiration on Pinterest. 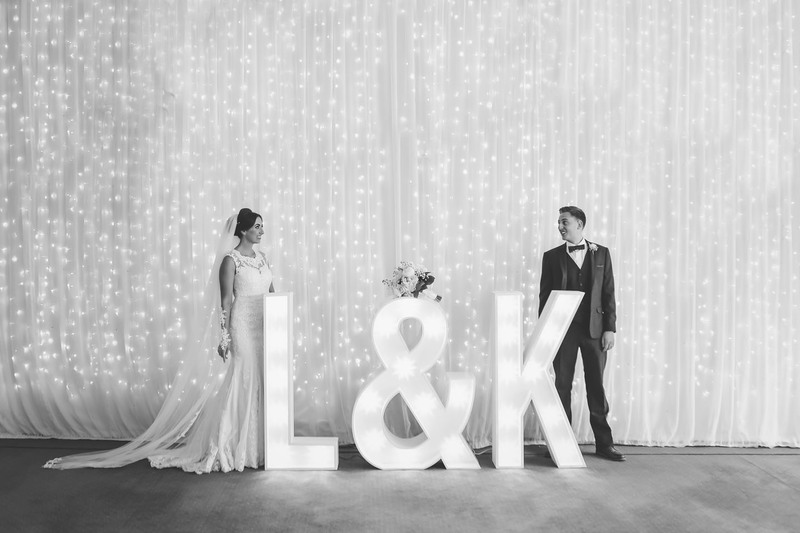 Kyle’s proposal in Australia meant travel was an obvious choice for part their wedding theme and they immediately chose to name the reception tables after the countries they had visited together, with The Whitsundays as the top table. 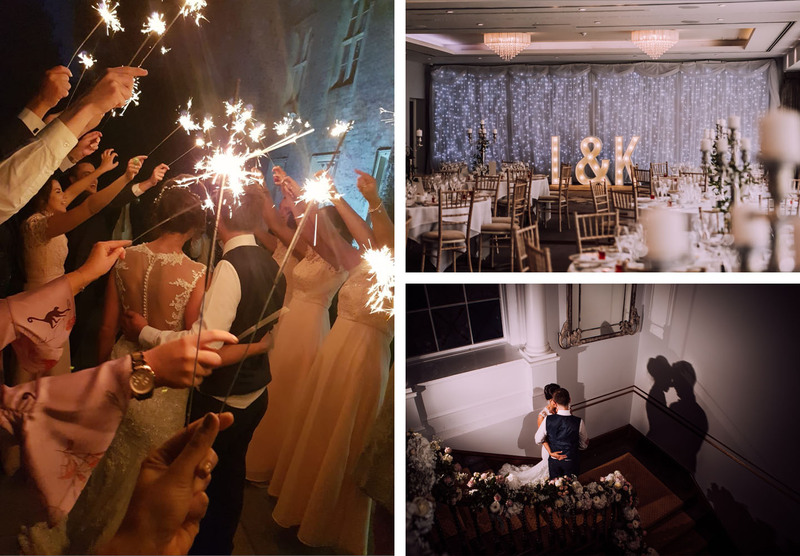 After seeing some amazing photos online, Lauren also fell in the love with the idea of a romantic colour scheme. I never thought I’d want pink, but it just worked. I didn’t want lots and lots of colour, and pink and white flowers create a subtle colour scheme. Once home, their full wedding planning began. 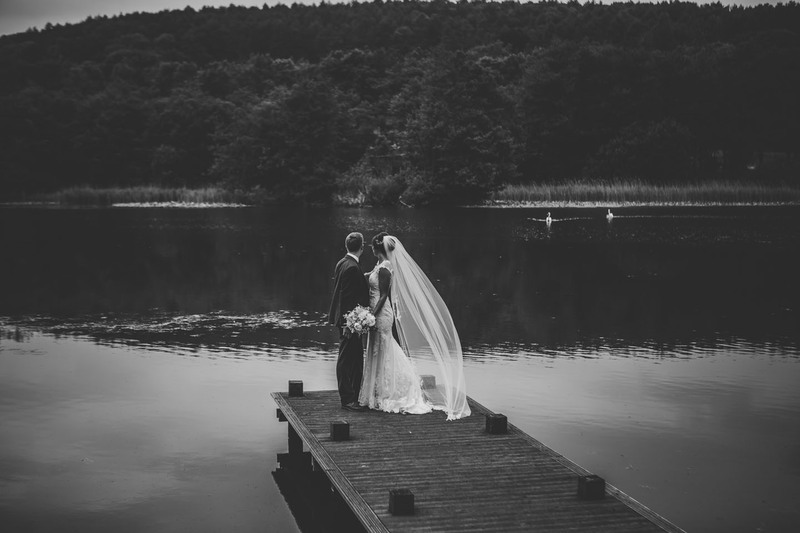 One thing was clear from the start – they would have the ceremony in South Wales. Kyle wanted to say I do in the same church his parents were married in, and where his mother’s wake had been held a few years previously. 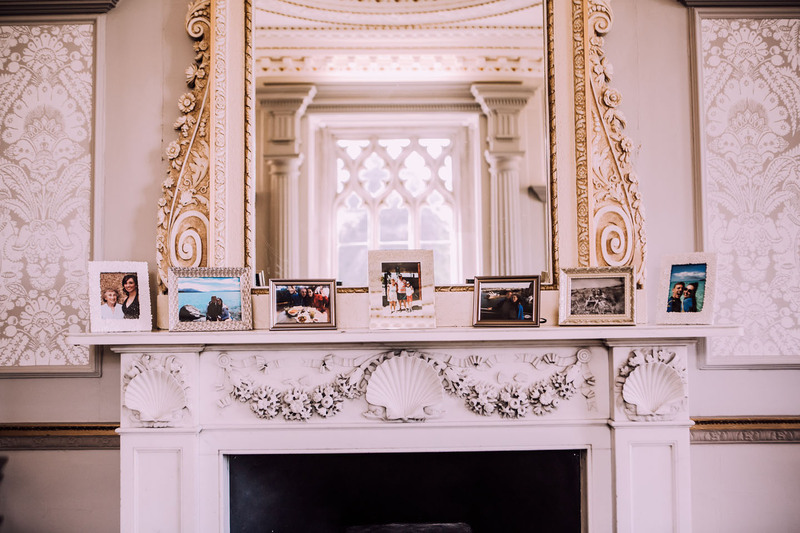 So, they set about looking for a reception venue to complement it and were thrilled to discover the splendid surroundings of Hensol Castle. 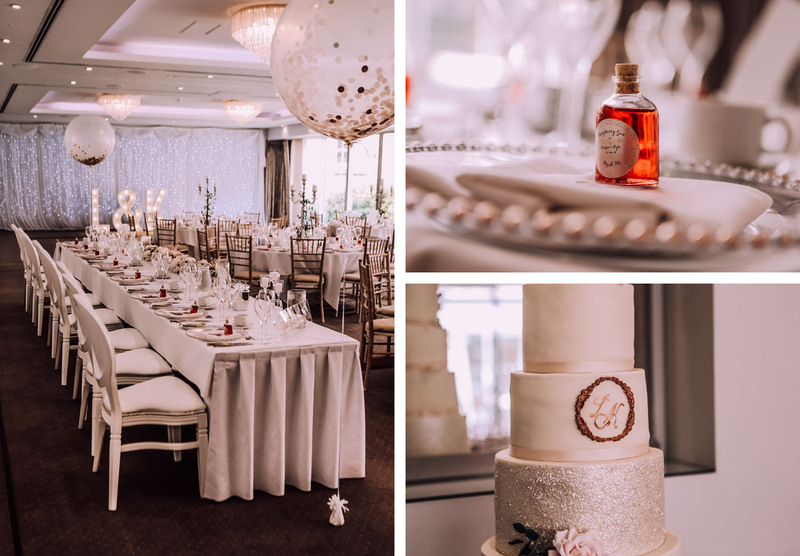 To create the pink and white wedding colour scheme, Lauren and Kyle chose to add several subtle details to their day. 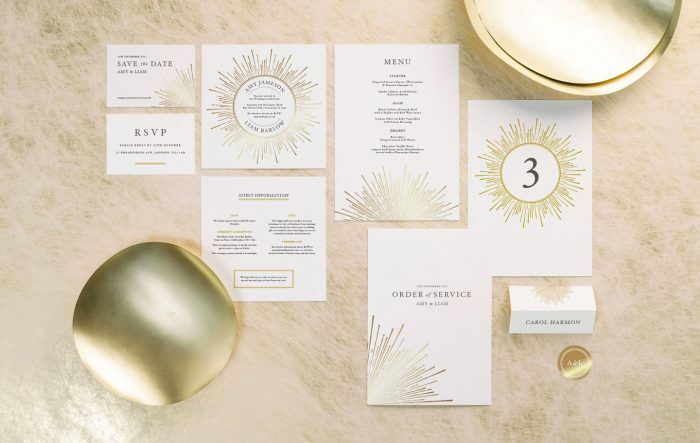 They introduced it with rose gold foil on their white pearl card invitations. 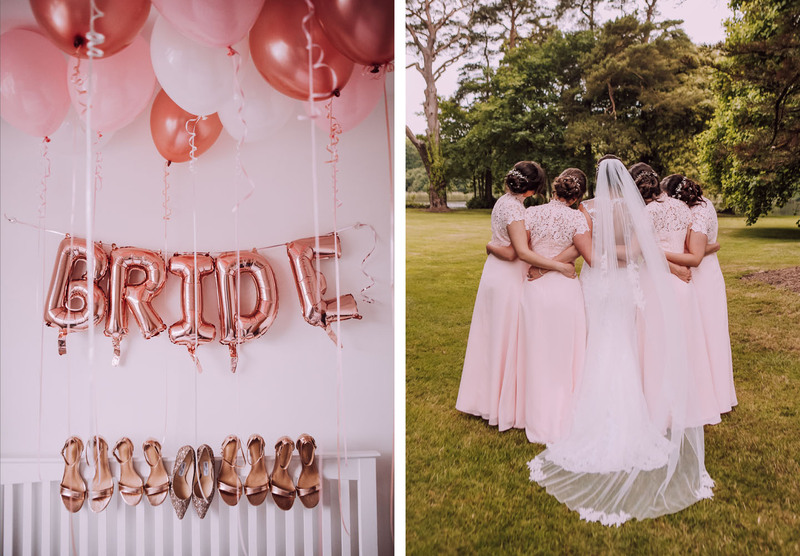 Then, they chose pink bridesmaids’ dresses, raspberry gin wedding favours, pink and white flowers, and a sprinkling of pink petals and white candles by their welcome sign, along with many other rose-tinted touches. The day itself was full of emotion and memorable moments. 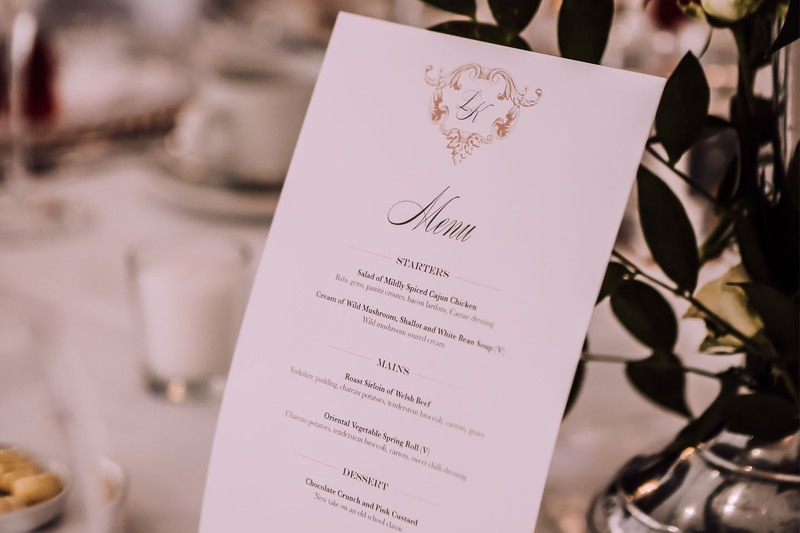 Lauren’s background as a cheerleading coach meant she also had an extra special surprise for Kyle and their guests. Armed with inflatable guitars, Elvis glasses and a LMFAO robot head, Lauren and her bridesmaids performed a surprise dance. 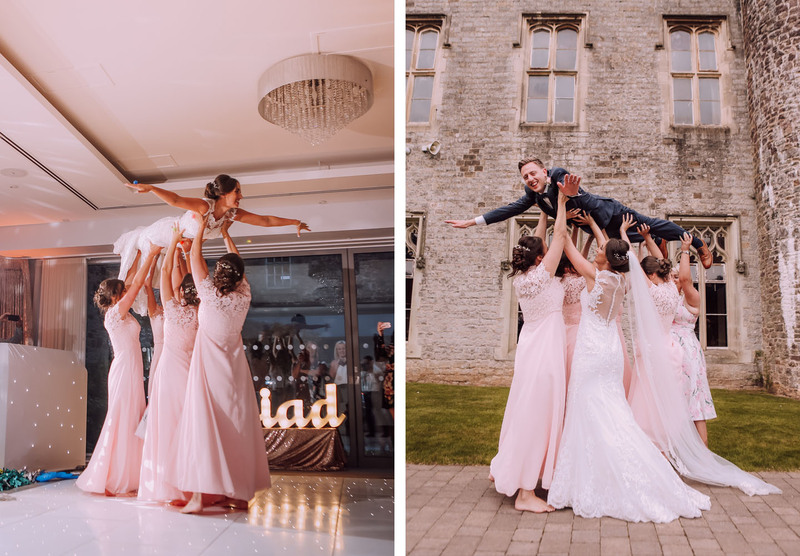 They had iconic songs, like Elvis, Queen and even a dirty dancing section where the ladies lifted Lauren up in the air, just like in the film. 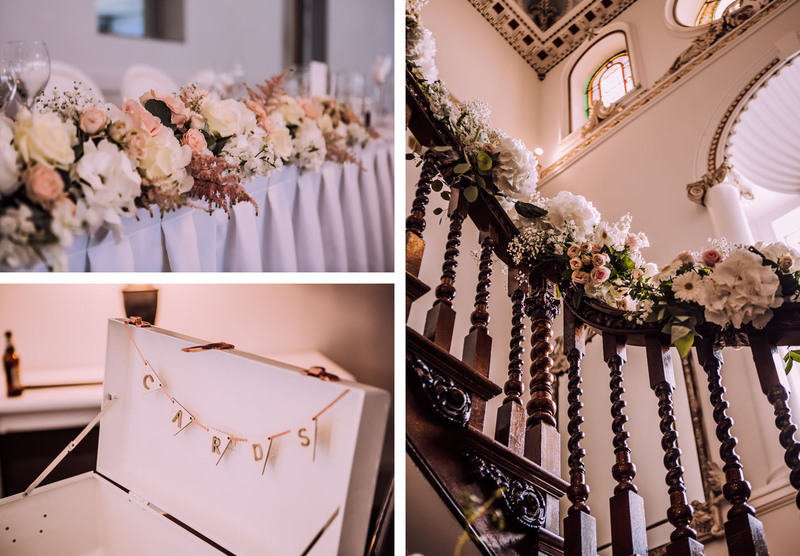 To complement the traditional feel of their castle reception venue, Lauren and Kyle chose our Beaumont wedding stationery collection. 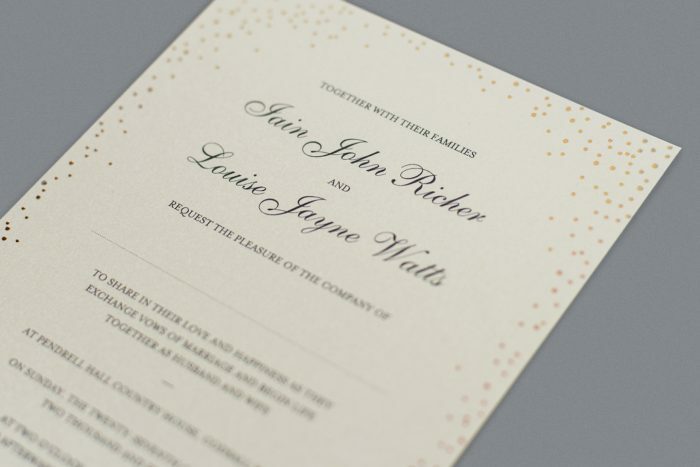 First, they set the tone with their wedding invitations. 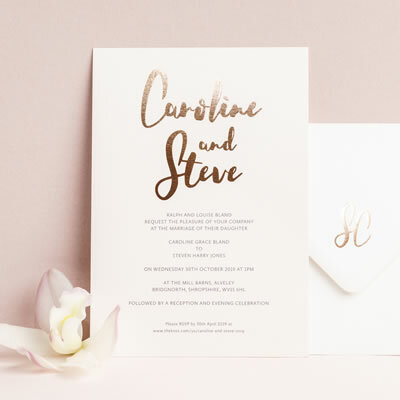 As mentioned above, they chose rose gold foil on white pearl card to introduce their pink and white colour scheme. 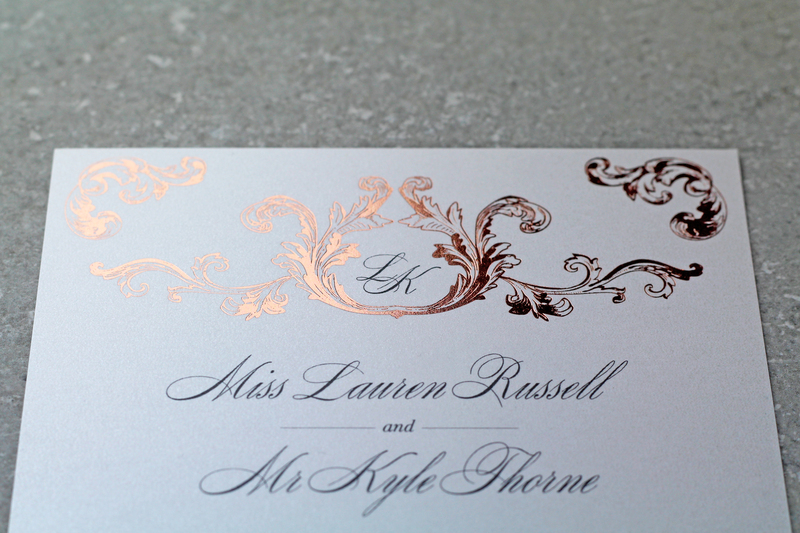 Each envelope was also sealed with a rose gold wax stamp of their initials. 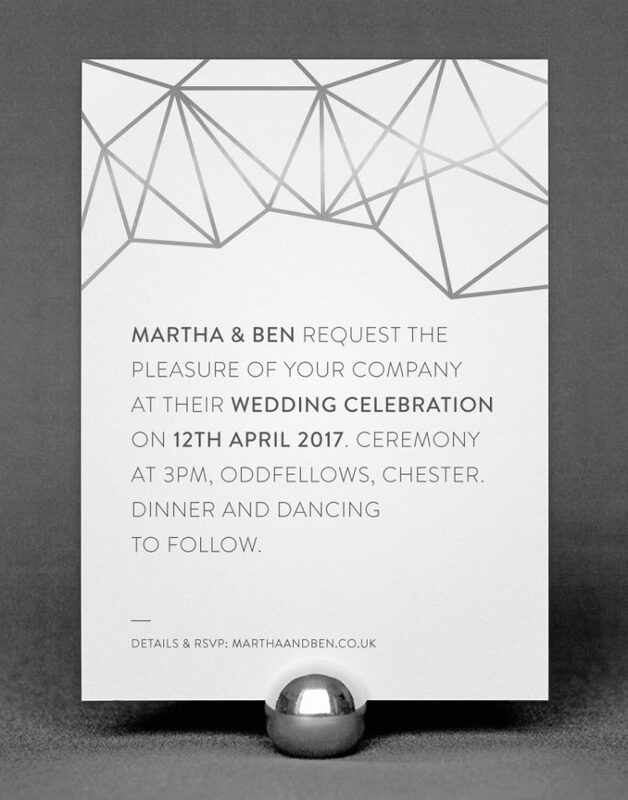 On the day, the wedding stationery helped tie everything together. 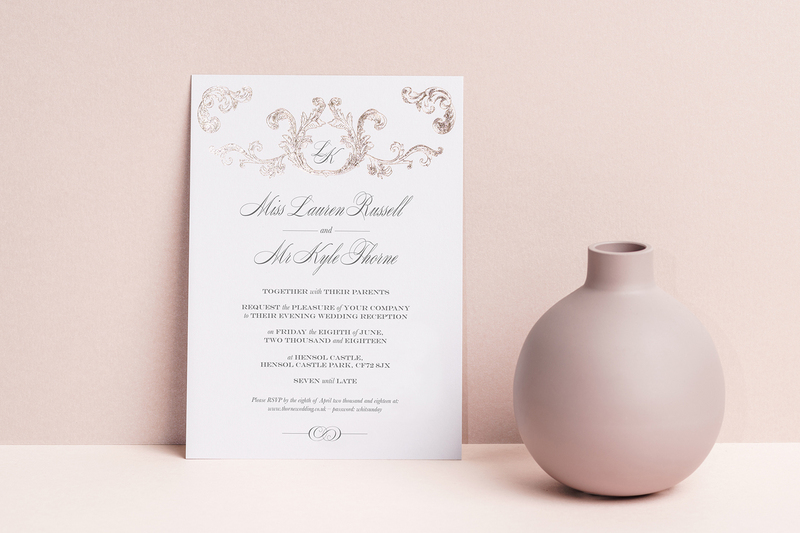 They had rose gold foil order of service cards to outline their ceremony. 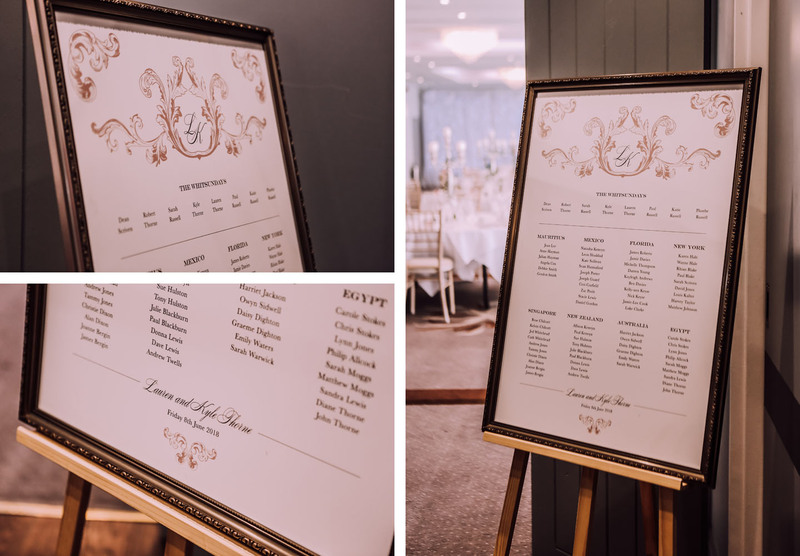 Then, their sophisticated wedding table plan welcomed guests to the meal where they would discover matching menu cards on their table. 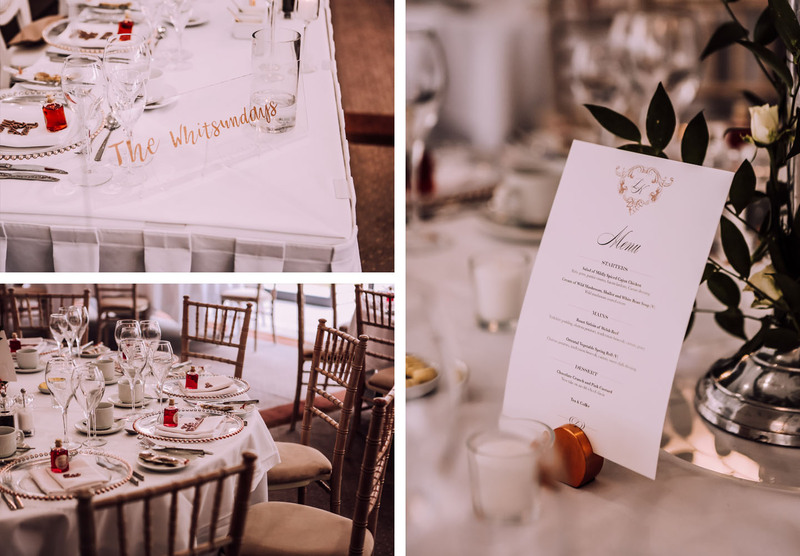 As you can see from Lauren and Kyle’s gorgeous day, wedding stationery is an excellent way of achieving a distinctive colour scheme. 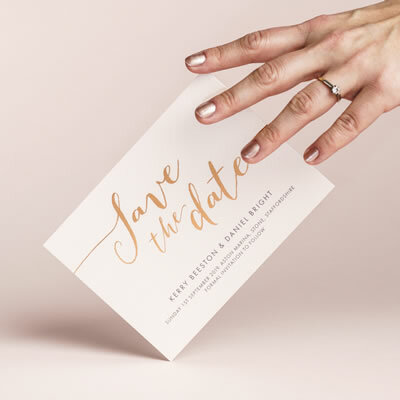 If you’d like to discuss your stationery colours and options, you can book a complimentary consultation at our studio in Chester. 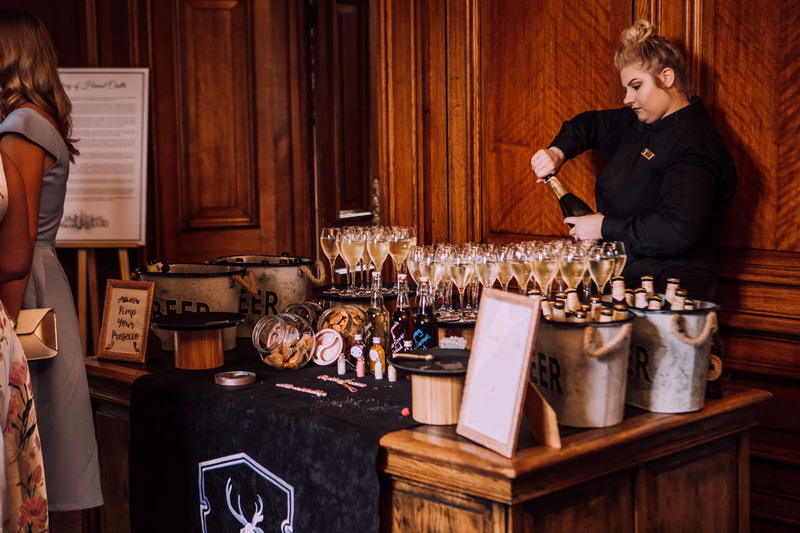 Over a chilled glass of fizz, we’ll show you samples and the many varieties of card and foil colours there are available to help create your perfect palette. 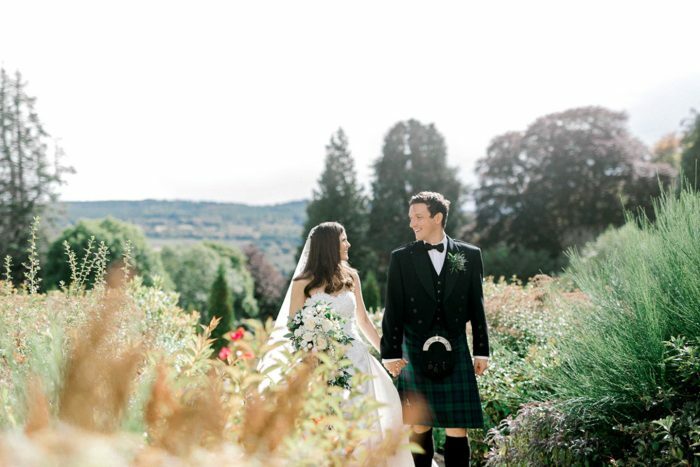 Lauren and Kyle for sharing details of their beautiful day with us.